- November 2014, surprise breakfast this time for more than 150 children with treats like samosas, muffins, cookies, sandwiches etc. 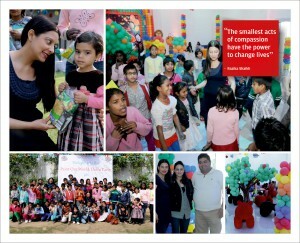 A magic show that enthralled everyone followed and for the first time the children received soft toys and games. Again POW was joined by a Round Table group. 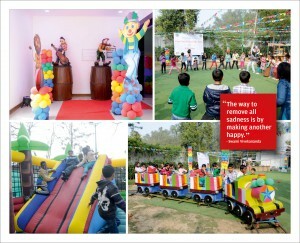 An indelible experience for the children and the visitors to POW. 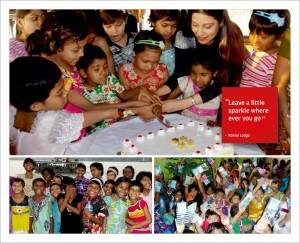 - November 2014, a surprise lunch at POW Kolkata for 150 children topped with mouth watering desserts of chocolate and gift packs. We were joined by a team of about 40 people – an exceptionally special day at POW indeed! 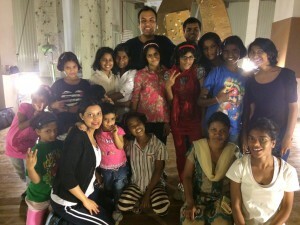 - October 2014, Diwali fun-filled outing to Delhi Rock where every child had the experience of rock-climbing. Some children took to it like ducks take to water and had several gos at climbing and on the trampoline. And ofourse their was was singing and dancing! 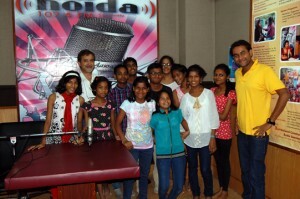 - August 2014, the children were taken to tour Marwah Studios in Noida. They joined the journey to the studio and back. As torrential rains water logged Delhi roads and resulted in a traffic snarl the children took full advantage by have extended story telling sessions while en-route. There were happy stories, poignant messages and there was lots of fun filled learning. At the Studios the children became reporters and presenters for the day! - April 2014, Easter celebrations in POW Kolkata: every POW child and other children rescued from Sealdah Railway Station (170 in all) were part of the celebration. - March 2014, Holi River Cruise Party abroad a beautiful cruise ship on the River Hooghly in Kolkata: This cruise party included a puppet and magic show; a tattoo artist; games; cake cutting and food. 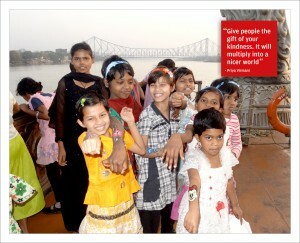 It was the first time the children experienced being on a River/Ship. 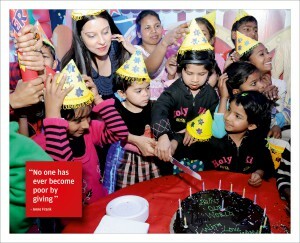 - Feb 2014, celebration in POW Kolkata: POW Founder Priya celebrated the Birthday of a member of her family with the POW children and the other children rescued from Sealdah Railway Station. This included 170 children in all who were part of the celebration. - Jan 2014: POW Hyderabad had a beautiful end of semester celebration wherein all POWers were given certificates by the children themselves. - Dec 2013: POW Bangalore had a celebration event for X’mas where Santa brought Christmas presents. Santa left the presents with Priya and her friends who handed out the gifts to the children. 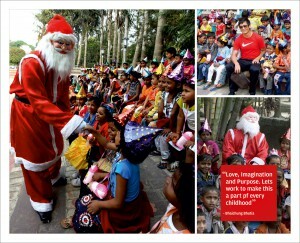 The Christmas celebration of Santa bearing gifts happened in all other centres in Hyderabad; Delhi and Kolkata. - Nov 2013: Story telling and hygiene workshop led by noted children’s writer Tushar Upreti. - Nov 2013: Trip to Fun Fair in Millennium Park for the children of POW Kolkata. This included the children going on rides; getting wind mills and candyfloss; playing games of course food and drink. - Oct 2013: All centres had Dussehra/Diwali celebrations that included the distribution of sweets and unforgettable merry making with the children. - Sept 2013: A celebration of food, drink and song wherein the POW Kolkata children were also given beautiful bags to keep for their belongings.